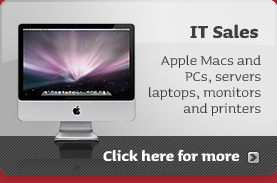 Them Digital provide PC and Macintosh recovery within the central and greater London area. So if your Mac's hard disk has crashed or you've accidentally deleted some important files, call Them Digital. Data recovery from a wide variety of internal and external storage media including Lacie, USB, Serial ATA and FireWire. Our Macintosh recovery service includes a thorough exploration to diagnose the problem including taking external drives apart to check for a faulty casing. We can then advise you of the available options and associated costs before carrying out any work, as well as the realistic chances for success. Where we can recover your data ourselves we will do so. If indicated we will send the hard disk to a disk recovery specialist. Macintosh recovery may be needed in response to a host of common problems, which can affect the ability to read data from a hard disk. Corruption Problems: Corruption of any files or data required for hard disk access can cause data to become inaccessible, including partition table corruption, catalog file corruption, node corruption, volume header or master directory block corruption. Virus Problems: Viruses often set out to corrupt and/or delete data, which can affect individual data files or system level files, either of which can cause data to become inaccessible. Physical Damage: Hard disks involve sensitive components and moving parts. These components can be damaged through physical means such as exposure to water or dust, or as a result of excessive vibration, heat, cold or impact. Sometimes the reading mechanism can be damaged even though the data is intact. Sometimes the damage is to the storage medium directly, resulting in loss of data in the damaged area. System Failure: Sometimes the whole system fails even though the hard disk and data on it is intact. In this case the hard disk needs to be safely removed from the system so the data can be read off by a different system. What is the Process for Macintosh Recovery? Stop working and turn off the Mac! Trying to struggle on can make things worse. For recovery of accidentally deleted files, stopping work immediately is essential. Call us. The sooner you call us the greater the chance of success. We will take you through a series of questions over the phone to make an initial assessment. Provide us with access to the disk/Mac. For our contract clients this means arranging for a courier to pick up the disk, or possibly the whole machine, from the client's site. Full diagnosis. We will conduct a full diagnosis, which will take approximately one hour and advise you of the options and likelihood of success. This allows you to weigh up the value of the data against the cost of recovery. Carry out recovery. This takes between 1 hour and 7 days depending on the problem and whether the disk is sent off to a specialist. The time taken also depends how urgently you need the data recovered – this will affect the cost of recovery. What Do We Charge For Macintosh Recovery? The charge will depend on what type of contract you have with us, if any. For non-contract clients we charge our normal hourly rate to investigate the issue. This includes a thorough investigation of what needs to be done, which will take approximately one hour, and we will then send through a quote for the available options and costs. If you have a contract with us of any type we do not charge for the initial diagnosis. We will investigate the issue, recommend options and quote for any work required, including the cost of sending the disk away to a recovery specialist if necessary. Where we are able to carry out the recovery ourselves the charge will depend on the type of contract the client has and whether the problem is diagnosed as being a software of hardware. A client on a software support contract will receive software fixes free of charge, but will have to pay for any hardware costs. A client on a comprehensive hardware support contract will not be charged for hardware repairs that we can perform ourselves. Your contract will cover replacement and installation of faulty parts, but not the cost of specialist data recovery. While we will make all efforts to ensure a successful recovery, it is important to understand that we cannot guarantee the success of any recovery attempt. The best way to avoid the stress and expense of data recovery if to make sure your valuable data is stored safely elsewhere. Backups won't prevent a hard disk crash, but it will allow you to restore your data quickly and cheaply. Call us today and let us help you put a secure back up system in place for your Mac.